Oil Mariner in the bay. I stupidly sent a similar image to this one to the OIL Limited office in Aberdeen with a few other slides as an entry in a “supposed” competition. The sleeve with the other slides came back, but that one was missing. Written on the sleeve was, "borrowed by P. Prowse", a person I had never heard of before. Needless to say I never saw the slide again! Further along the beach and nearer to the point, looking over the spare propellers on the beach. Just round the point is the whaler Karrakatta. Alongside at Husvik, looking at the storage tank area. 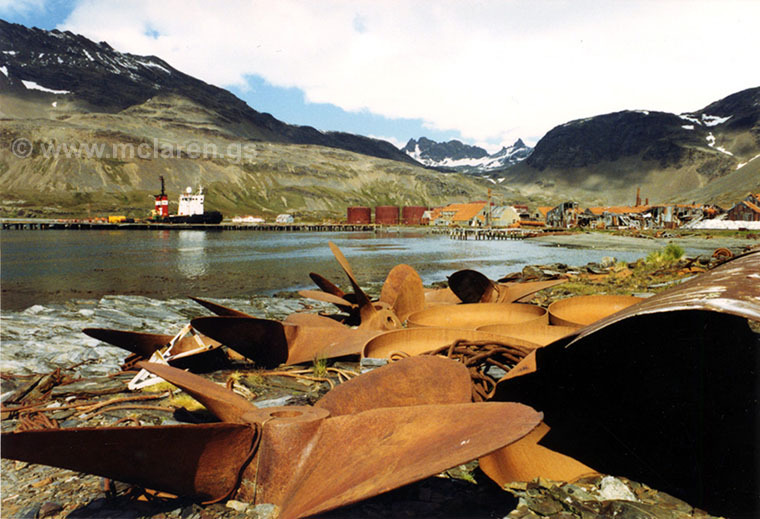 One of the smaller whaling stations and inaccessible, it has not suffered from the vandalism that the other stations have. 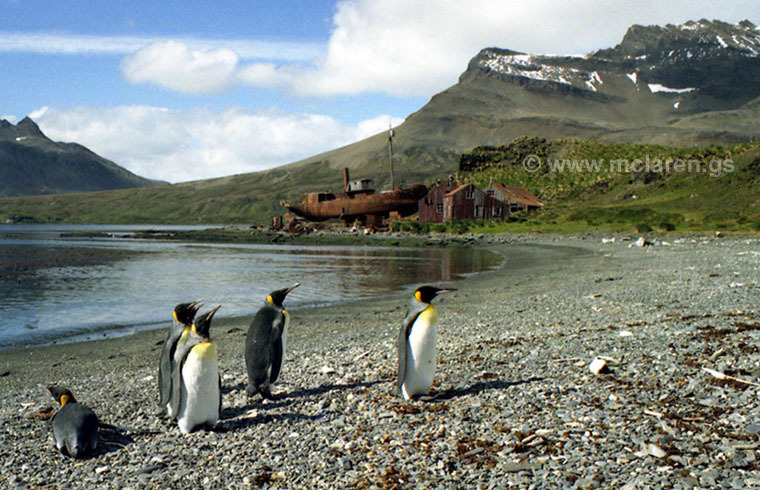 King penguins on the beach at Husvik. The whale catcher "Karrakatta" is seen in the background. Karrakatta was officially named "Polar 4". The whaler Karrakatta at Husvik. 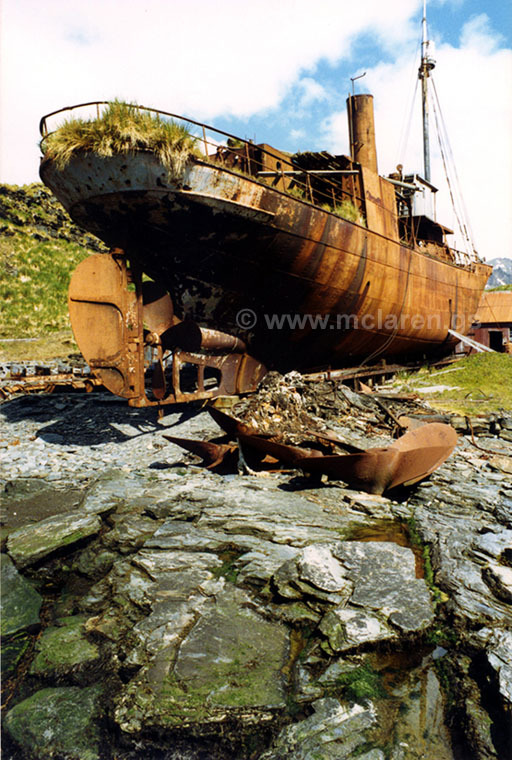 An opening had been cut in the ship's starboard side giving access to the boiler room, the boiler was used to supply steam to the shore workshop and winches. 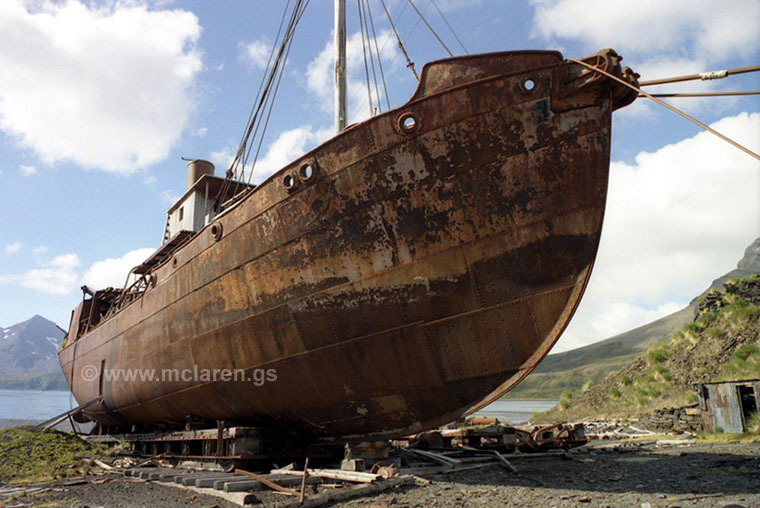 Karrakatta seen sitting on her permanent slip. The Wrecks and Hulks First Day Cover issued in 1990. Bought at the Post Office in King Edward Point. 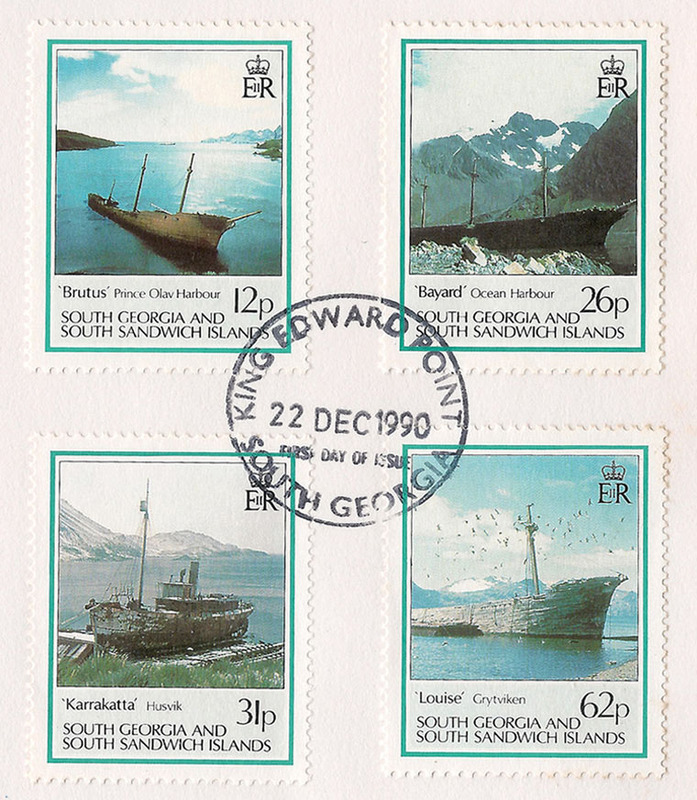 A close-up of the stamps. The Karrakatta is seen at the bottom left. 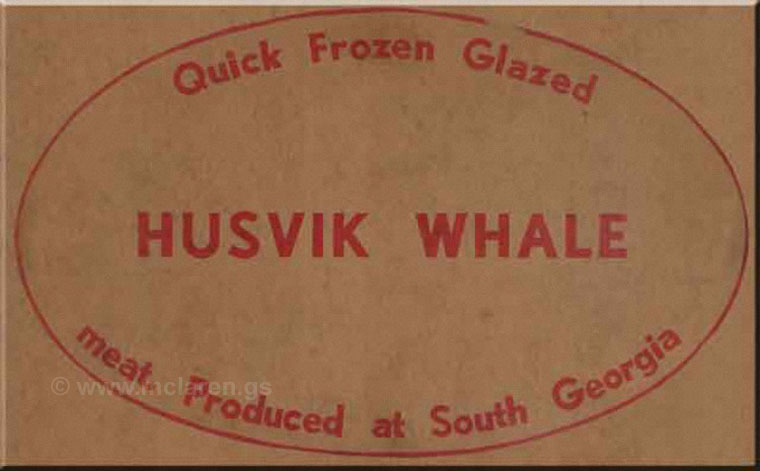 The logo from one of the boxes stored at Grytviken after Husvik had closed. 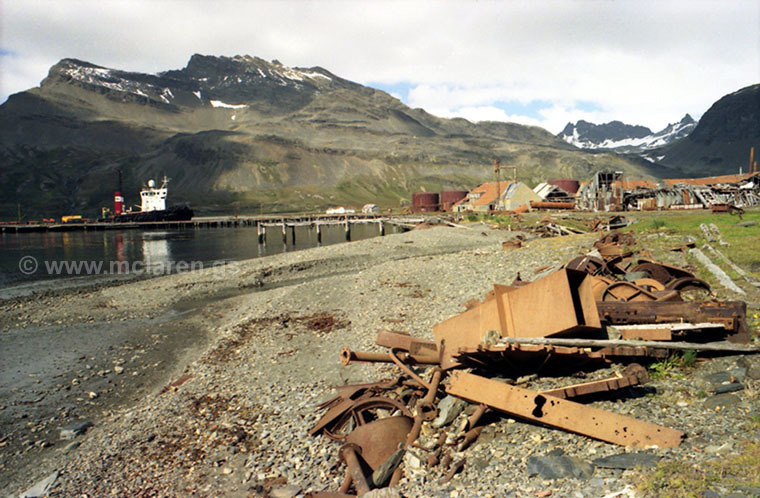 The freezer plant had been brought to Grytviken after dismantling at Husvik. 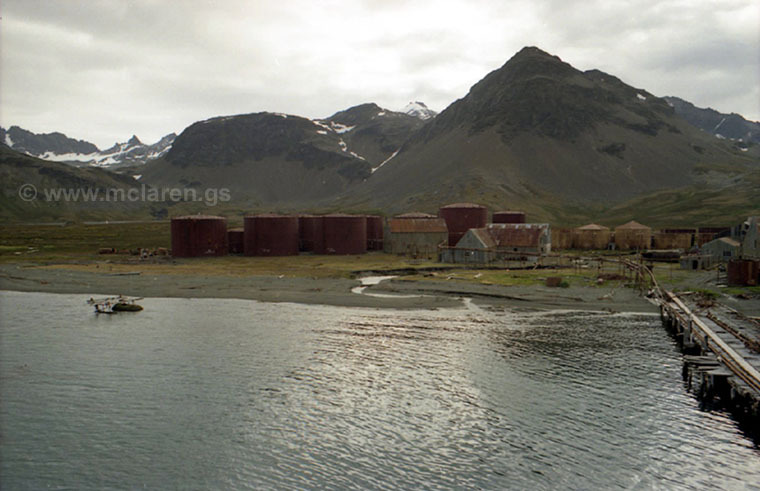 Prior to closure in 1964, Grytviken had a new freezer plant built, but it was never commissioned. The compressors and motors were installed and can still be seen today, the drive belts never having been fitted. 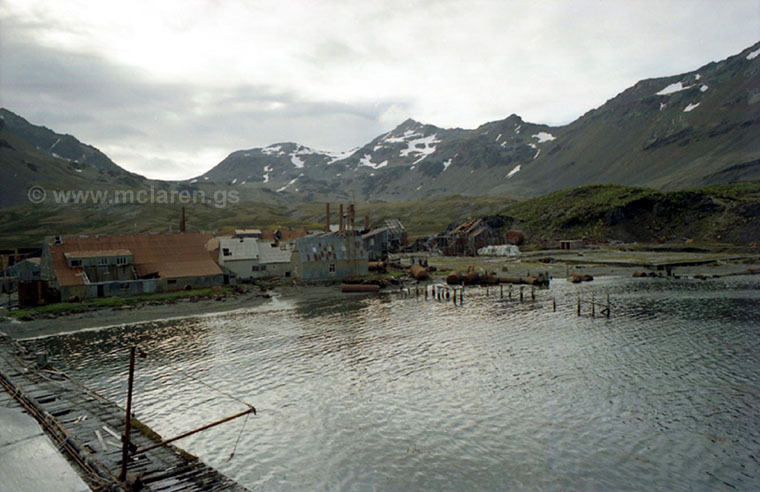 From the jetty, looking over the plan, cookeries, and factory buildings. 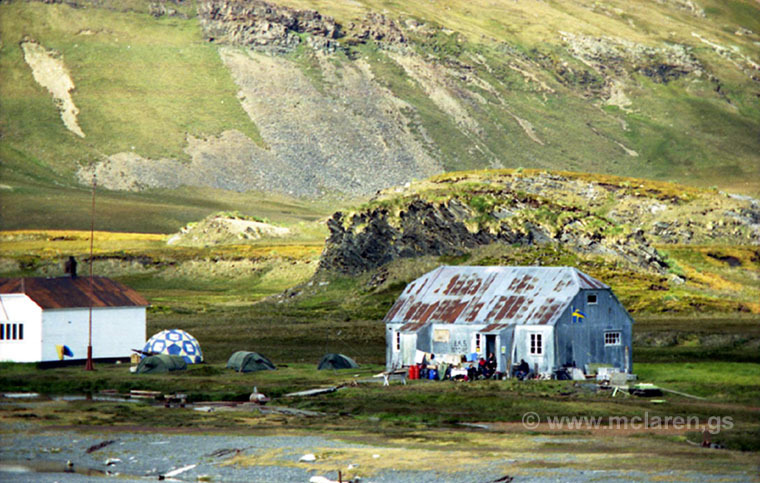 We met some Swedish scientists who were doing a study on the Eurasian Reindeer. 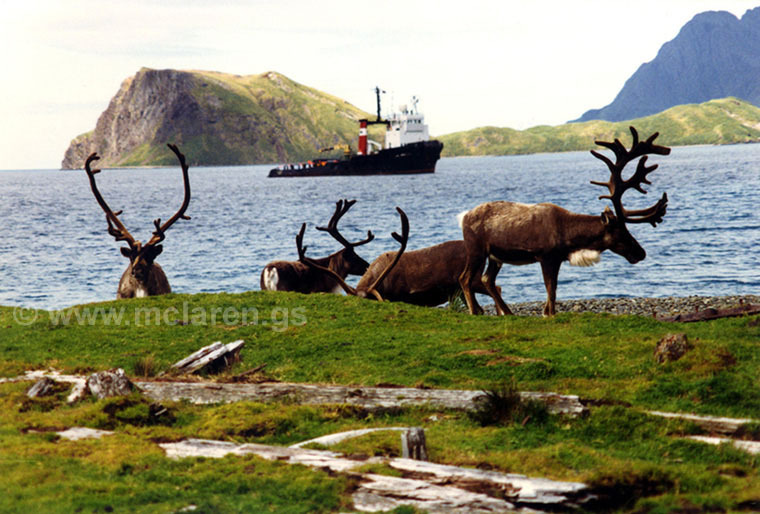 The deer on South Georgia were around 50% larger than those back in Scandinavia. They were trying to determine if it was the diet or other influence that caused the increase in the size of the animals. Walking along the beach we see Oil Mariner alongside the jetty, with the factory buildings to the right.